Nutraconcepts Colon Cleanse is the revolutionary way to cleanse your colon, detoxify your body and lose weight all at the same time – guaranteed! This easy to follow plan also serves as meal replacement shakes so no need to prepare meals. Just drink 7 shakes per day, nothing else, for either 3, 6 or 12 days (depending on what you want to achieve). See the results for yourself. Results within 2-3 days. Proven to work. 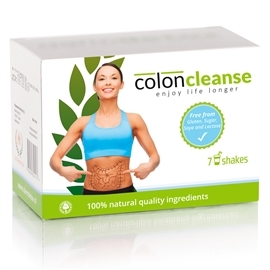 Nutraconcepts Colon Cleanse Shakes are the most comprehensive & effective Colon Cleansing formulation on the market to date compared to ‘all’ other Colon Cleansing products and methods currently available. They completely eliminate any toxins build-up throughout the entire intestinal tract not just the large intestine (as is the case with colonic hydrotherapy) without disturbing the healthy bacteria or healthy mucous layers. 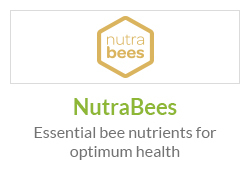 This helps improve immune function whilst promoting overall health. And with these shakes you can effectively lose weight as each shake is a meal replacement shake containing all the essential nutrients the body requires throughout the day, promoting a constant feeling of satiety, so no need to snack and no need to prepare meals! This colon detox is simple yet extremely effective. This Colon Cleansing program either lasts 3, 6, or 12 days… It’s up to you. One box lasts a day. Each box contains 7 sachets for 7 shakes. The sachets are mixed with water so you have a shake which is easy to consume. You only drink the shakes in the program. (That’s right, these colon detox shakes are also meal replacement shakes). The shakes are taken throughout the day. This makes life simple, as you don’t have to prepare any other food. The shakes are formulated to contain all the necessary nutrients and give you a feeling satiety so you won’t feel hungry. Why Is It So Important to Cleanse the Colon? Believe it or not, good health starts in the colon. We absorb nutrients through the intestinal walls which directly affects our health. The more healthy nutrients we are able to absorb, the healthier we are. If normal functioning of the intestines is hindered in any way, the body is unable to effectively absorb nutrients and as a result, the body’s health suffers. One way the intestines function may become hindered is if there is a build-up of toxins in the intestines. This slimy build-up that attaches to the walls of the intestines is known as Biofilm. This image, is Biofilm. Biofilm is a group of bad bacteria which stick to each other and to the surface of the colon wall. They form a slimy layer that becomes impenetrable. The biofilm often contains fungi and viruses, as well as bacteria. Biofilm dehydrates the intestinal wall which leads to intestinal irritation. As a result, food, nutrients and medicines are not adequately absorbed, while fungi and viruses can penetrate into the blood. This process can cause inflammatory reactions, leaky gut, hypersensitivity and obesity. What is Nutraconcepts Colon Cleanse? 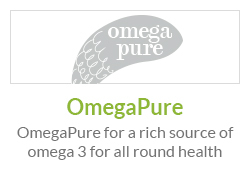 It is the UK’s most effective colon cleanser, clinically tested and proven to work. Conventional colon cleansers such as colonic hydrotherapy only clean the large intestine and cannot eliminate biofilm, so as a result, your intestines are not as cleansed as you may think and health may remain hindered. In comparison, Nutraconcepts Colon Cleanse cleans both the large & small intestine and helps eliminate biofilm effectively, promoting a healthier intestinal tract. It is safe to use, with no known side effects which is why Colon Cleanse is fast becoming the nation’s favourite colon cleanser. Is Nutraconcepts Colon Cleanse Right for Me? Many of us nowadays understand the need to ‘detox’ but perform it ineffectively. For example, Colon hydrotherapy cleans only the colon (the last piece of the intestinal system) while the rest of the intestinal system remains polluted. Most other common detoxes you ingest contain numerous abrasive components, such as Psyllium fibres or Bentonite clays, which can also lead to intestinal wall irritation. Nutraconcepts Colon Cleanse is everything these other detoxes aren’t. 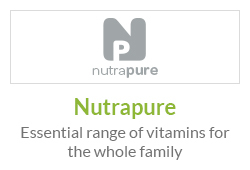 Firstly, it contains only natural ingredients tested and proven to help promote intestinal health. Secondly, it not only improves intestinal health but it is a meal replacement. This prepares the body for the healthy lifestyle you are beginning to undertake. Thirdly, this will prove to be an effective way to lose a few pounds before undertaking a weight loss program, whilst preparing the body to receive nutrients from healthy food sources. The result – an cleansed intestinal tract, increased nutrient intake, improved health, improved energy levels, improved skin health, and more. If you suffer from a poor immune system, eat an unhealthy, unbalanced diet or are overweight and looking to change your lifestyle to a healthier one, then this colon cleanse may be ideal for you. Who Can Benefit from Nutraconcepts Colon Cleanse? Those who suffer from a chronic illness and take regular medication. A healthy intestinal tract may help improve absorption of medication helping treat the illness more effectively. Always consult your GP before beginning any detox plan. Why Choose Another Method for Colon Cleansing? Good question. You shouldn’t. All colon cleansers pale in comparison to Nutraconcepts Colon Cleanse. No other Colon Cleansing detox product available ‘completely’ cleans the entire intestinal tract. They contain ingredients that can be abrasive or irritate the intestines causing unwanted side effects such as diarrhoea and cramps. And even after the cleanse is complete, the result achieved is less than desired. Even Colonic hydrotherapy, however effective, only cleans the colon. The small intestine and the duodenum are left untouched. The Nutraconcepts Colon Cleanse makes it possible to eliminate the unhealthy biofilm at home in a safe, simple and comfortable manner. Fermented bark of the Oil-Palm tree is the main ingredient, which has the ability to penetrate the unhealthy biofilm in the colon and re-hydrate the intestinal walls enabling them to be “hydrated”. This results in the unhealthy biofilm no longer being able to attach itself to the gut wall and it simply slips out of the body and is excreted. It helps improve energy levels as releasing toxins from the body transfers energy usually used for moving waste through your intestines, to other parts of your body. This may promote better circulation, sleep and improve energy levels. It increases the body's absorption of vitamins and nutrients as cleansing has created an unobstructed path for essential nutrients to filter into your body. 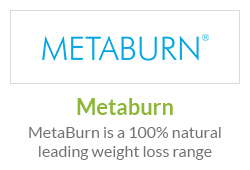 It provides a great starting point for weight loss and can boost metabolism. It can also help educate you to make better food choices as well as promote overall body wellness. It helps reduce risk of health-related colon conditions. Everything you eat and drink travel via the gastrointestinal system, kidneys, and liver. If what you consume remain in your organs for too long, they can have an adverse effect upon your body's systems. Eliminating stagnant body waste helps reduce the causes and the risk of cysts, polyps and maybe even cancerous growths in the colon and gastrointestinal tract. It improves overall body well-being as cleansing the colon safely and effectively can lead to people feeling ‘lighter’ in themselves, increase energy, and promote overall good health. The fermented fibres from the bark of this oil-palm tree have the ability to be able to infiltrate deep into the centre of the pollution, direct into the toxins. This is necessary as toxins attach themselves to the mucous layer of the colon. 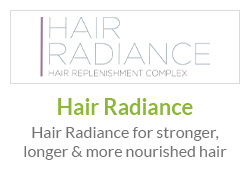 These fibres completely penetrate into the toxins and moisten them from the inside. This way, the polluted mucous layer of toxins detaches and slips out of the body, without any difficulty, cramps or pains. It is important to give the colon system a rest while being detoxed so that the colon can detox well. It will be less effective if the colon system also has to work at metabolising food. The Nutraconcepts Colon Cleanse contains all the essential nutrients the body needs to ensure there is no shortage or deficiency. Therefore you will not experience any feelings of hunger and will feel fit and comfortable. Most users of this colon cleanse have little or no symptoms at all. There is only a very small percentage of users experiencing any symptoms. 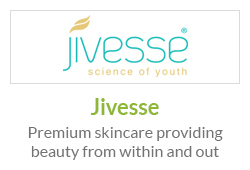 Below we explain the reasons for this, and provide tips on what to do. Any detoxification process will act asa magnifying glass for any existing health conditions. When we eat, our bodies convert that to energy and much of that energy is used for digestion. As soon as we stop consuming food the way we normally did, the body has energy available to deal with other health issues that remained unnoticed. Many people live with health problems which only come to light once a cleanse is undertaken. For example a full gall bladder. There are, for example, people who have an excessive gall bladder, which is associated with no or very few symptoms. As long as no genuine gallstones are present, the person does not notice them very much. Starting with Nutraconcepts Colon Cleanse, the body wants to empty the gall bladder. This happens with spastic contractions of the gall bladder and is often accompanied with vomiting. Headaches can also occur as the gallbladder meridian runs along both sides of the head. This can be very unpleasant. In severe cases it is therefore advisable to stop the detoxification for the time being and first to clean the gallbladder before proceeding with the colon cleanse. Another example is an oversensitive gut due to harmful biofilm. There are people who have a very sensitive bowel. This is due to the long-term dehydration and sometimes inflammation of the intestinal mucosa by the harmful biofilm. Usually most people do not notice it. However, as soon as theNutraconcepts Colon Cleanse is started, one feels that something is happening in the stomach. Some of these people believe they had an optimal functioning digestive system, but when they start with the cleanse, the symptoms show that the facts are different. It is important to note that the ingredients of the Colon Cleanse do not contain any irritants for the intestinal wall in contrast to conventional Colon Cleansing products, which have an abrasive (diarrhoea) and diarrhoea effect and attack the gut wall itself. The ingredients within Nutraconcepts Colon Cleanse do nothing but penetrate the biofilm and fill it with moisture. The fermented fibres of the oil palms can only penetrate into the biofilm and not into the mucous membrane of the intestine. The intestinal wall is not attacked in any way. In addition, the fermented fibres of the oil palm take the Okra powder into the biofilm. This powder can absorb water up to 100 times its own weight. As a result, the biofilm absorbs a lot of water, becomes more and more heavy and dissolves thickly and heavily from the intestinal wall. In the end, the biofilm can slip out without spasms. The swelling of the biofilm produces a feeling of discomfort and dullness in a small percentage of people. Especially if the biofilm is tough and hard as it will absorb ‘a lot’ of water. This can cause an inflated feeling in a person with a sensitive bowel. However, this is not a bad sign, but shows thatthe cleanse is working. The flatulence has nothing to do with fermentation in the intestine, it is only the biofilm saturated with water that one feels. This is also visible when it is excreted. Usually it resembles is a thin, translucent skin, but once penetrated with palm fibres and full of water, it resembles more of a bloated sausage. Some people have no stool during the colon cleanse, which is in contrast to the general assumption, not a problem. Each body is different and will react in its own way. The biofilm does not completely come out with every person which may make you think it was not effective but the opposite is true. Nutraconcepts Colon Cleanse always works! Hundreds of tests by users in naturopathy have shown this in practice. Even in people who had no bowel movements during the cleanse. The reason is that the palm fibres always penetrate the biofilm, it is a mechanical process. 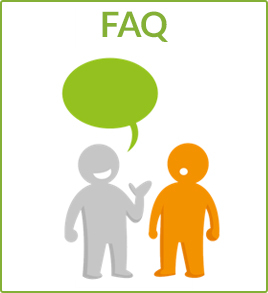 If the biofilm does not come out during the cleanse, it is usually because the biofilm is extremely tough or hard. In this case, the biofilm is excreted completely with the stool over the next few days. If there is little or no bowel movement, the general assumption is that there is constipation, but this is not true either. What many people do not know is that the food is excreted with a delay of a few days. This is not clear, because most people have 1-2 bowel movements every day. However, what is excretedis already a few days old. So if you do not have a bowel movement, then it is not uncommon, during or after the cleanse. Nevertheless, the fact remains that one can feel uncomfortable without a bowel movement and wants to do something to promote it. This is not a problem. Nutraconcepts Colon Cleanse can be combined with all sorts of natural resources. One can take herbal tea to encourage a bowel movement, plum juice or also magnesium sulphate. Gentle intestinal massage, acupuncture, foot reflexology or homeopathic remedies are beneficial and helpful as well as exercise in the form of relaxing walks. Just be aware that,if during the cure or a few days after, nothing is excreted - that it is not a problem. The Nutraconcepts Colon Cleanse was effective and the biofilm was excreted with the normal stool that followed. Following the completion of the Colon Cleanse, fermented food are recommended. It is also of great importance to ensure that the intestinal wall and the intestinal flora (micro biome) is optimally made and supported. Itis also important that you do not allow the biofilm to form again in the intestine. Bioplus Lactobacillus Acidophilus 80mg (DDS-1 strain Lactobacillus acidophilus (50 Billion per gram) providing 4 Billion viable organisms at the time of manufacture) or Bioplus Bifidobacterium 80mg (Bifidobacterium Bifidum (50 Billion per gram, 3 strains) providing 4 Billion viable organisms at the time of manufacture).With either of these probiotic supplements, the intestinal flora is able to function optimally once again. The intestinal flora was not useful when biofilm was present, because the intestinal walls were completely stuck. After the completion of the ‘cleanse’, the intestinal wall can resume its function with a healthy balance of good & ‘bad’ bacteria. Bioplus Colostrum Plus (Colostrum 20% Min IGG) (Prodiet F 520 C 20), Lactobacillus Acidophilus (50 billion per gram providing 500 Million viable organisms at the time of manufacture), Bifido Bacteria (50 billion per gram) (3 strain) providing 500 Million viable organisms at the time of manufacture). This combination of bovine colostrum, probiotics Lactobacillus acidophilus & Bifidobacterium and prebiotic (fructooligosaccharides) effectively supports optimal gut health & provides immune system support after the cleanse is complete. What Makes Nutraconcepts Colon Cleanse Better than All Other Colon Cleansers? The best thing about a colon cleanse is that you are better able to benefit from healthy food as nutrients are more readily absorbed, the immune system functions better, you lose extra inches and will feel fit and energetic. A few things should be paid attention to for optimal results. Before the programme we advise decreasing the amount or heavy consumption of food to rest your intestinal system. During the programme your daily food should be limited to our shakes only. Our shakes are full of nutrients, vitamins and energy and prevent any feeling of hunger. The only consumption during the programme should consist of the sachets and water. 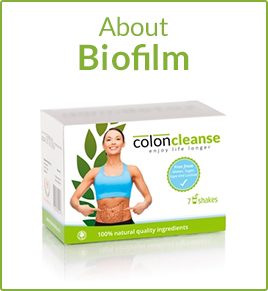 May have doubted the existence of Biofilm but studies have shown that it does in fact exist and it is harmful to health which is why this colon cleanse aim is to eliminate it. In the Journal of Advanced in Applied Microbiology 2011, Macfarlane et al conducted a review titled ‘Mucosal biofilm communities in the human intestinal tract’ whereby they address current knowledge of mucosal populations in the gastrointestinal tract, changes that can occur in community structure in disease, and therapeutic modulation of biofilm composition by antibiotics, prebiotics, and probiotics. This indicates that the bacteria forming this biofilm are different from the bacteria normally present in the intestinal cavity, that they affect the immune system and cause inflammatory diseases. It can be concluded that the biofilm is on top of the healthy mucous layer of the intestinal wall. This harmful biofilm dries out the healthy mucous layer that carries out the intestinal wall, with all the damaging effects of it. 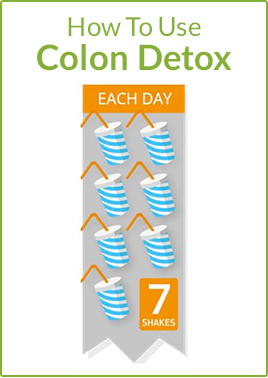 With this Colon Detox you can remove the harmful biofilm in a simple way. As an active ingredient, the detox contains fermented fibre of the bark of an oil palm tree that penetrates the biofilm and causes the rest of the ingredients to be transported directly into the biofilm. Once the biofilm is saturated by the ingredients of the Colon Detox, it will swell and absorb a lot of moisture. The biofilm comes loose and will leave the body naturally, helping to restore gut health effectively. Here you will find answers to all those queries you have concerning this revolutionary Colon Cleansing product. 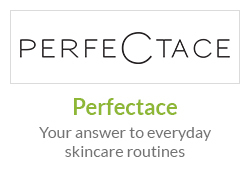 If for some reason you can’t find your answer, please contact our customer services team who will be able to help you further. 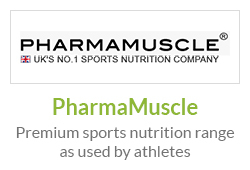 · Meal shake (3 sachets of 25g). On the second day you eat mostly easy digestible foods. Preferably fruit, soup,yoghurt or smoothies in limited amounts. Meal shake (as dinner) 400ml water in the shaker with the contents of the sachet, shake well. Tip 2: To improve the taste, it’s okay to add some organic juice concentrate to the meal shakes. The first day after the programme you should eat mostly easily digestible foods. Preferably fruit, soup, yoghurt or smoothies inlimited amounts.